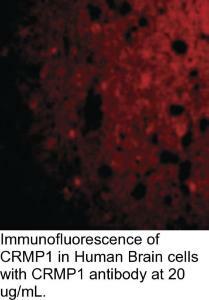 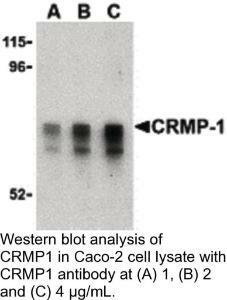 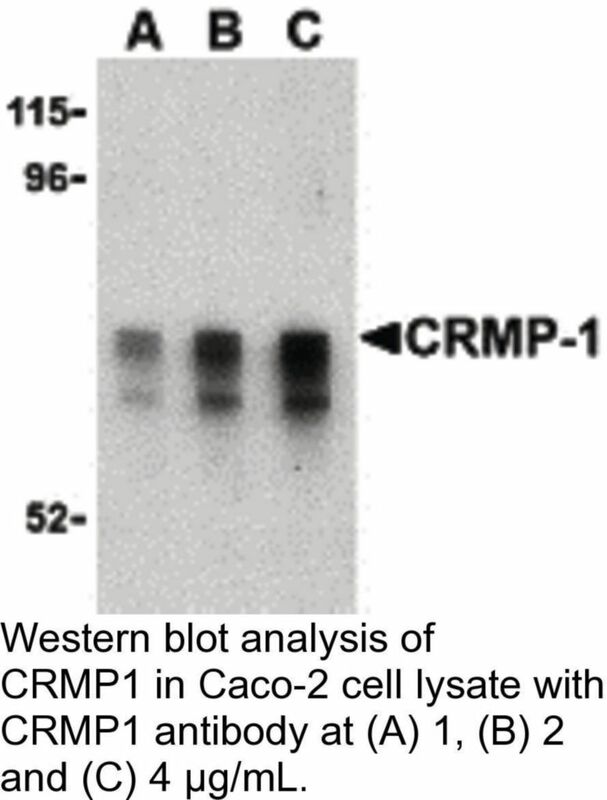 CRMP1 Antibody: Collapsin-response mediator proteins (CRMPs) are highly expressed in the developing brain where they play major roles in axonal outgrowth, neurite differentiation, and apoptosis. 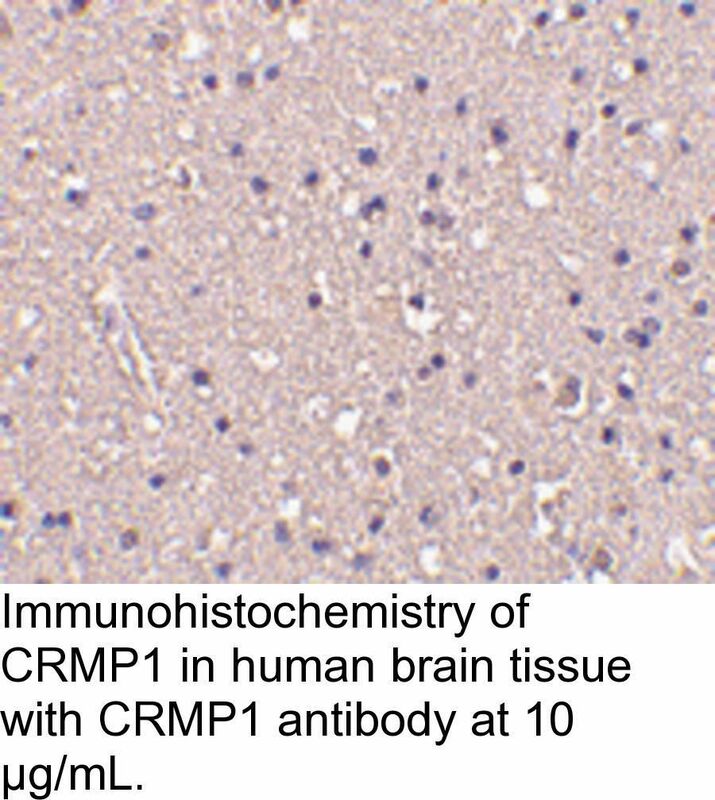 Their continued expression in areas of high synaptic remodeling such as the cerebellum, hippocampus, and the olfactory system suggests that these proteins may also be involved in adult brain plasticity. 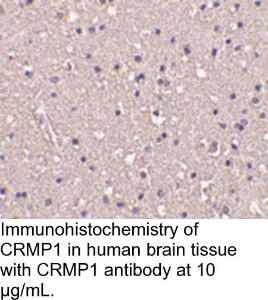 CRMP-1 was initially identified as a dihydro-pyrimidinase expressed exclusively in brain; later studies have shown that it is involved with neurotrophin (NT) 3-induced neurite formation and outgrowth. 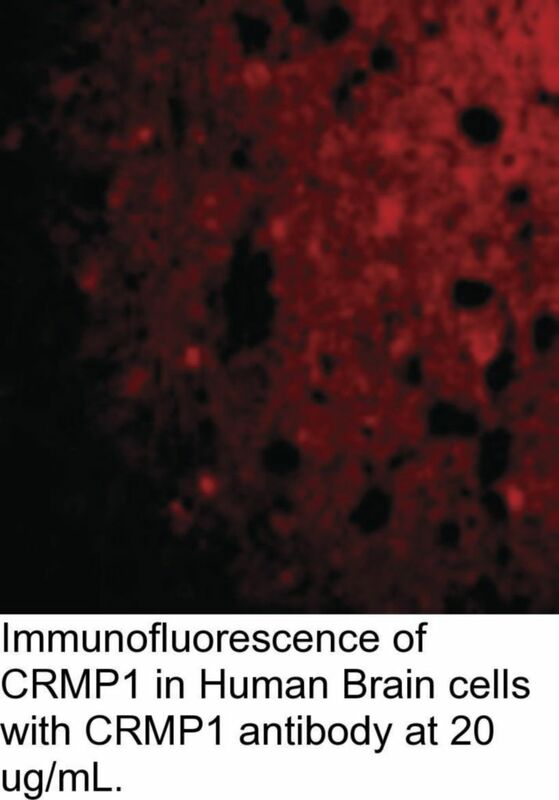 CRMP-1 localization switches from axonal to somatodendritic when neurons reach functional maturity, suggesting that it is involved in early neuronal differentiation as well as in later processes related to the survival or death of the newly generated neurons.